You are here: Home / Gophers / Does the Law Allow You to Kill Gophers? Does the Law Allow You to Kill Gophers? The laws concerning gopher control are complex. They differ from state to state in the United States and from province to province in Canada. Townships, cities, counties, and conservation districts have their own rules. However, there are some reliable guidelines for getting rid of gophers and killing gophers that can point you in the right direction. 1. There is always at least one lawful means of deterring gophers from entering your property. Controlling pests naturally is one of them. Planting shrubs and bedding plants that gophers find unpleasant (such as foxglove, oleander, eucalyptus, and Shasta daisies) is always permissible. It’s also permissible to dig in mesh wire to make protective barrier around valuable flower and garden beds. It’s always permissible, to allow licensed dogs and cats to wander around your yard, especially in the early morning and later afternoon, giving gophers the message that predators are nearby. Fox urine crystals and castor oil treatments applied to the soil itself are usually OK. And every jurisdiction in North America allows homeowners to put out vibrating gopher. There are other deterrent methods that may be permitted by law but prohibited by homeowner agreements. Wind-driven pinwheels, for instance, are universally permitted by state and provincial laws but they may be prohibited by local ordinances or neighborhood association agreements. Generally, if your neighborhood association will not allow you to put out garden gnomes or plastic pink flamingos, it will not allow you to put up noise-making pinwheels, either. Public refuse rules may disallow using doggy doo or kitty litter around planting beds to deter gopher invasion (and simple good taste may, too). In California and New York, it may be unlawful to put out mothballs or any organic material that can be smelled by your neighbors. 2. Trapping gophers live is usually permitted, but often futile. 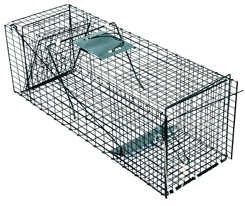 Animal cage type traps can catch gophers live for release elsewhere. The problem with catching a gopher is that there is usually no place to release it lawfully. Where gophers are legally classified as a pest, it is unlawful to release them on someone else’s property without their permission. Many states require a permit to transport gophers, which gives the fish and wildlife official an opportunity to make sure one homeowner does not transfer a pest from his property to another’s. In a few US states and in most Canadian provinces, it is unlawful to release a gopher on any property other than the one on which it is found. You could trap a gopher in your flower bed and release it on your lawn, or on an unoccupied part of your lot. But even if you own a farm in the country, you could not release the gopher you trapped on your city property in the country. In Canada, most provinces specifically prohibit release of pest animals on crown (public) lands. If want to capture a gopher, this is where you can learn about the best bait for gophers. 3. Killing gophers in snap traps is usually lawful, but may require a written permit in advance. Many states take measures to ensure that kill traps are not placed where they can do harm to pets or people. They permit killing gophers in snap traps, but they require a written permit first. Verbal permission is never enough to avoid the possibility of getting caught by the game warden and issued a fine. In these states and provinces, there are no provisions for “emergency kills” of large numbers of gophers without getting a hunting or trapping permit from the fish and wildlife office (in the United States) or the natural resources conservation ministry (in Canada). We think snap traps are the best gopher traps. Most states classify gophers as non-game animals, which means they can only be killed when they are causing damage. This denotes that you cannot go out into the wild and lawfully kill gophers for sport. Gophers must be causing demonstrable damage on your property to justify your killing them. 4. Some species of gophers are considered endangered and should not be killed. In the South Puget sound area of Washington State (Clark, Mason, Pierce, and Thurston counties), the Western pocket gopher is under consideration for protection by the US Environmental Protection Agency as an endangered species. Although US federal law has provisions excusing accidental killing of endangered species, intentional killing of an endangered species can result in fines of $25,000 to $200,000 and in rare instances, even jail time. To avoid stiff fines and costly legal action, residents of these counties should not kill any gophers without checking with the local state fish and game office first. 5. Some jurisdictions do not permit killing of “wild” (non-commensal) animals at any time. The District of Columbia in the United States does not permit any killing of non-commensal wildlife, animals that do not depend on humans for food. It only permits trapping and release of live gophers, at least 25 miles away from the trapping site. However, since all such sites are in Maryland or Virginia and these states do not permit transportation of gophers from Washington, D.C., homeowners are left with deterrent methods only. Here are 10 useful tips for controlling gophers. It is a summary of all the main points for managing these nuisance animals. 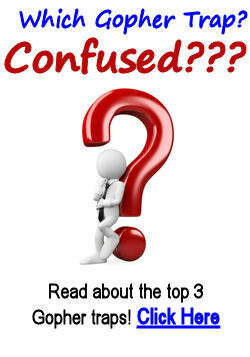 What Are the Different Types of Gophers? The more you know about your enemy, the greater your chances of defeating him. The first rule of pest control is to identify the pest accurately. This then enables you to develop a specific plan for removing them. Learn about Gophers here. What Is the Best Bait for Gophers? Using the right bait to catch Gophers will speed up the removal of them. However, you may be surprised to learn what is the best bait to use. Read about the various methods of getting rid of gophers and their pros and cons. Choose, which is the most appropriate technique for your situation.